Affiliate Marketing: Where do I begin? I can remember when I was a young school boy, my parents travelled a lot and I went to many different schools. I was the ‘new kid’ in the class many times and at the time it wasn’t much fun being the new kid all the time. However looking back it gave me experience many kids didn’t have. It gave me an open mind to many different schools and cultures in different countries. I’m pleased I had the opportunity to make new friends in so many places and gain more experience from exposure to many schools. It kind of reminds me of when I first started affiliate marketing. When I first started I didn’t even know what affiliate marketing meant, I just started reading and doing. Actually putting into practise what I read and learned from products I invested in. As it turns out most of the products I purchased didn’t make me any money. But I did learn a lot and gain a lot of experience actually implementing the information. You don’t have to struggle as a ‘newbie’ affiliate marketer for long. Because I am going to explain exactly what to do in the next few posts on this blog. What you must do is target a narrow market. Make your website focussed on a niche carefully selected market. Don’t throw up a website and show lots of banners and and products that are not related. You must select your keywords carefully by doing keyword research. I will talk more about keyword research in another post but for now, lets just concentrate on the basic structure of a your affiliate campaign. You should choose 1-4 main keywords. These keywords will be closely related and you may maybe 10-15 more sub keywords that also relate to the first main keywords. You will use your keywords to plan your website to allow the search engines to know exactly what your website is about. For example if you are looking at targeting the weight loss market, you will have so many competitors and probably work hard for 6 months only to fail. This maybe because you need to dig further into the weight loss market and find keywords that relate to a sub market within the main weight loss market. You have a much better chance of winning the game and owning your market when you carefully target a sub niche. In the example above the sub niche would be diuretics for women. You would then conduct your keyword research using Google adwords keyword tool. Once you have several small groups of keywords to work with you can then plan your website pages and articles. In my next post I will talk about keyword research and how to apply those keywords to your website. This entry was posted in Health Affiliate Program and tagged affiliate marketing on May 8, 2011 by Admin. 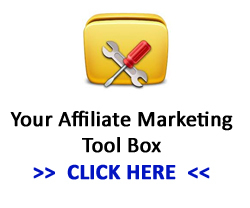 It’s sounds easy to most internet marketers however I do know that some new affiliates need a little extra help to promote their health affiliate program offers. Here are 2 short videos revealing exactly how to add affiliate links to a WordPress post or to your web page using Dreamweaver. Video 1 – How to add your health affiliate program links to a WordPress post. Video 2 – How to add your health affiliate program links to your web page using Dreamweaver. This entry was posted in Health Affiliate Program on January 16, 2011 by Admin. on a website with content that is not related to the product you are trying to sell. If it is a weight loss product from a diet affiliate program your website needs to be all about weight loss. If you chose an anti ageing skin care niche, your website should be all about anti ageing skin care with lots of articles about the subject. If you are starting a new website about 8-12 articles of 500 words each is the minimum recommended amount of content. You need this amount of content to start with so Google and the other search engines see your website as substantial and relevant to a subject. You can use the Google wonder wheel tool to obtain keywords that Google relates to other keywords and you can write about these subjects and include those keywords shown in the wonder wheel tool to get brownie points in Google’s search engine and advertising programs. So keep your website nice and targeted with a clear heading to your website. For example if you were targeting products like whey protein from a nutrition affiliate program, your website might include articles relating to body building and fitness. Although you might also include a couple of articles specifically about the benefits of the product. If your products are from a natural health affiliate program, you might have assorted herbal products that relate to a specific health ailment. The point is to keep your website targeted and related to the products you are promoting. It then takes time to bring visitors to your site by posting articles on articles directories, posting on related blogs and in related forums. Keep it targeted and don’t stop marketing your health affiliate site and you will see the results of your labour in due course. This entry was posted in Health Affiliate Program and tagged health affiliate program directory, health products affiliate programs on January 8, 2011 by Admin. If you had to start an affiliate marketing business from scratch, what would you do? Maybe you would chose a herbal affiliate program.. I can remember when I was waking up at 6am in the cold dark UK winters, scraping the ice from the car windows to join the traffic jams on the Motorway. I had my fair share of information CD’s I had purchased from Internet Marketing Guru’s I had with me in the car and every day I joined the cue in the traffic moving a few hundred meters per hour. I’d make use of the time gathering information to escape the torturous routine I felt trapped in. It wasn’t just the traffic, or the routine, I actually enjoyed my work but I didn’t like being told what to do especially when those telling me what to do didn’t have a clue. Going into work when it is dark in the morning and coming home in the dark isn’t much of a life I wanted to be in, I had to get out somehow. I was ‘feeling the pain’ and that inspired me to start my own affiliate business. Chipping away, building an online presence in my chosen niche. It did take time to learn the ropes and eventually a few dollars came in, then a few hundred dollars and eventually I had three months wages saved in the bank to get out of the misery and start my own business. If I had to start again from scratch what would you do? This is what I would do..
1. I would make sure I had the determination to start a business. You need determination to keep chipping away one day at a time. Imagine being in a jail cell with a nail file every day cutting away a few microns of metal from the cell bars. You need to be determined to keep filing away at those bars every day. In time, you will break out and see the world in a different light – once you have a steady stream of affiliate income coming in every month. 2. You need to choose a niche – and own it! Do the research with Google Adwords Keyword Tool and check out several markets to make sure the traffic volume is there and the competition is fair. If, you dive into a niche market with lots of big players without research, you’re doomed to fail from the start. You need to take a right angled view of the niche and ‘claim your stake’ with a different message. For example, If you wanted to enter the weight loss market you would have so much competition you would not be able to compete with the same old message. Instead, you need to ‘be able’ to break into the market with a different message. Consider this message.. Instead you could consider the ‘right angle’ point of view in the weight loss market and introduce an ’emotional eating’ website. 3. Once you have an idea and a niche, It’s a good idea to start to gather leads with an optin form. Test the market by building a website and writing blog posts with a call to action to optin for more information. Building a list from the start will empower your business later on once you have many email subscribers. 4. Get traffic, either purchased by PPC or by posting in forums. You can test your website with paid traffic from Pay Per Click advertising. It might cost you a little to test your site but it’s worth spending a little money to test your site before you start investing time or money with SEO and Link building. 5. Chose niche affiliate offers to promote. Look for affiliate programs that have unique offers that you could target within your chosen niche. For example, you could chose a herbal affiliate program or an adult affiliate program. Health affiliate offers with unique products are great to promote. 6. Keep chipping away. Rome wasn’t built in a day however If you have the determination, you can build your own affiliate marketing empire to create a real asset, that will benefit you for years to come. This entry was posted in Herbal Affiliate Program and tagged affiliate marketing, affiliate marketing business, herbal affiliate program on December 12, 2010 by Admin. Some time ago my travels took me to the red soil of the Northern Plains of Thailand. A gracious schoolteacher named Harry ran a foster care program for orphans. He took me on a tour of his world. How incredibly different it was from mine. Someone had loaned Harry a beat up old Toyota pickup, so we didn’t have to walk. He drove me through twisting back-county roads of Kalasin, dodging potholes the size of bathtubs and showing me how the other half lives. We would pass bands of children walking along that road and women carrying two water jugs on wooden poles stretched out across their backs. I met all kinds of kids without moms and dads, mostly living with relatives and hopefully holding body and soul together. I met one kid whose most recent home was an old hen coup. We visited a wooden hut where a girl, maybe 12 years old, was playing in the dirt in her filthy pink dress. She was mentally handicapped and there was no one else around. Harry spoke kindly to her in her native language. He gave her something to eat. Eventually, we left. It was gut wrenching. All these people staring at me with that blank gaze of poverty and apathy. Paralyzed by a belief that there’s nothing they can do to make their life better. Harry drives me to another village. We walk into a carpenters shop. A guy named Duang is making furniture from trees. Duang had been involved in a hit and run accident when he was a kid so he couldn’t walk . His crutches are leaning against the wall behind him. Duang does NOT have that blank hopeless stare. His eyes are clear. He’s alert and he’s aware. He’s proud of what he does. His kids have uniforms, they attend school, they are well fed. He’s a respected man in the community. His legs might not work right, but he’s not a cripple. Harry explains to me that with a $50 business loan, Duang founded that carpenters shop and became an economic pillar of his community. By Western standards Duang is poor, but he’s not living in poverty. Duang doesn’t speak the same tongue as me yet when our eyes lock we both sense that we share a common language: The language of entrepreneurship. He’s proud of what he’s accomplished and he’s not asking for handouts. My friend, there is a one and only path out of poverty. It ain’t UNICEF. Or the United Nations. It’s not even jobs or technology. It’s entrepreneurship. It’s brave people like Duang. Imagine for a moment that someone had taken Duang’s $50 and sold him a sham “business opportunity.” Big bag o’ smoke. Hit & run. Isn’t worth the paper it’s printed on. How much would that scam have cost Duang . . . really? For one thing he’d be a cripple living in a deserted hen coup today. Begging on the side of the street. Not a successful entrepreneur. Not a guy with a house and a kitchen and 2 beautiful kids. His 2 kids would be living with who-knows-who, or maybe no one. Duang’s carpenter shop wouldn’t be there in the middle of his village. People wouldn’t be getting their chairs made. A certain school would be minus 2 students. A seamstress would have sold them two less school uniforms. The vendors who sell him tools and nails would have one less account. His kids might be stealing food instead of buying it. Do you see how these little tiny hinges swing big doors? That’s why it really makes me cringe when snake oil salesmen sell bad business advice. They’re teaching people s*** that doesn’t work. Doesn’t matter whether it’s Asia or America or Antarctica, it’s still a crime. I hope them scammers end up living in an old hen coup. They sure don’t deserve to be making megabucks, that’s for sure. I got fleeced real good for the first few years of my business career. You probably know that story and if you don’t I won’t bore you with it. But anyway, I’m one of those people who believe things happen for a reason. Maybe one of the reasons that happened to me was . . . so I’d know what it’s like. God forbid that I ever sell people big bags o’ smoke. Or that you should ever spend your money on one of those bags o’ smoke. I believe that when someone teaches how to fish, they should teach you with real boats and real fishing poles and real ponds. Not with a flight simulator. They should be able to prove what they do works. In real market conditions with real tools and real customers. Not shills. Every time someone sells fake business advice, the world losses a few entrepreneurs. People who might have made it, but they couldn’t recover from that one loss. Who knows… what might have been? Every time someone delivers *real* business advice, the world gains a few entrepreneurs. More “Duangs”. More carpenter shops. More kids going to school. More food to go around. More for everyone. I take my job – and your job – very seriously. What we both do matters. A lot. If you have any kind of “real” business on the Internet; if you know that more leads for less money, better sales conversion, improved follow up and a superior marketing strategy would put more money in your pocket; then I invite you to join and promote the unique offers available from the SG Health Affiliate Program. Not all are accepted, but if we let you in, I back it with a huge promise that if you put in the effort, you’ll get the results. This entry was posted in Health Affiliate Program and tagged Health Affiliate Program on September 1, 2010 by Admin. Here are listed 5 tips for health affiliates who want to make the best of their marketing campaigns. Chose multiple niches that might complement each other. For example if you build a website around acne, you might want to also consider another niche that complements the first for example scar treatment. This way you can cross sell your niches later on once you have offered your initial products and services. When building your website landing pages, blog posts and email auto responders, you need to be ultra specific. Being specific will let Google and the other search engines know exactly what your site is about allowing Google to find you more targeted traffic in search engines and pay per click advertising. Keeping your marketing methods white hat will prevent any potential damage your business could sustain later on if you were using any ‘black hat’ seo or quality score cheating. Google likes to see navigation above the fold on your landing pages and possibly a link to a blog on your domain. You might also consider displaying the previous 3-4 blog posts on your landing pages that tells Google you are constantly updating your blog posts. This helps with PPC quality score and SEO. Create an optin page to ask for your visitors email address so you can send updates and information about your niche including offers to products. Don’t overkill your sales pitch – build a relationship with your visitors by offering useful, interesting and unique information before sending your sales pitch offers. 5. Chose the right products. If the health affiliate program isn’t converting your traffic, consider switching to a different health affiliate program that is proven to convert when you send targeted traffic to the offers. This entry was posted in Health Affiliate Program and tagged Health Affiliate Program, Health Affiliates on August 22, 2010 by Admin.